SAN PEDRO –The Port of Los Angeles Harbor Commission Board voted to approve the move of Catalina Express’ San Pedro ferry terminal a few feet south of its present location underneath the Vincent Thomas Bridge. The demolition of the present terminal, which was originally constructed on the site in 1990, has been under discussion since the port approved the expansion of the China Shipping company terminal, just to the north of Catalina Express’ headquarters. The north docks currently used by Catalina Express along Berth 96 were part of the expansion agreement between China Shipping and the port, which meant Catalina Express needed to find a new home. At the Jan. 5 Los Angeles Board of Harbor Commissioners meeting, port staff warned that failure to have Berth 96 available for the China Shipping Expansion in a timely fashion could subject the city of Los Angeles Harbor Department to penalties, if the failure results in delaying the China Shipping expansion project. After a long search around the harbor, port staff members and Catalina Express president Greg Bombard decided a short move would be the best move, agreeing for the new ferry passenger terminal and docks to be moved from Berths 95 and 96 to Berths 94 and 95. The current passenger terminal will be demolished and replaced with a new facility. The new permit agreement authorizes Catalina Express to construct and operate a new public passenger facility for a 25-year term at the new site, along with renovations to their current 7,500-square-foot warehouse and maintenance building. 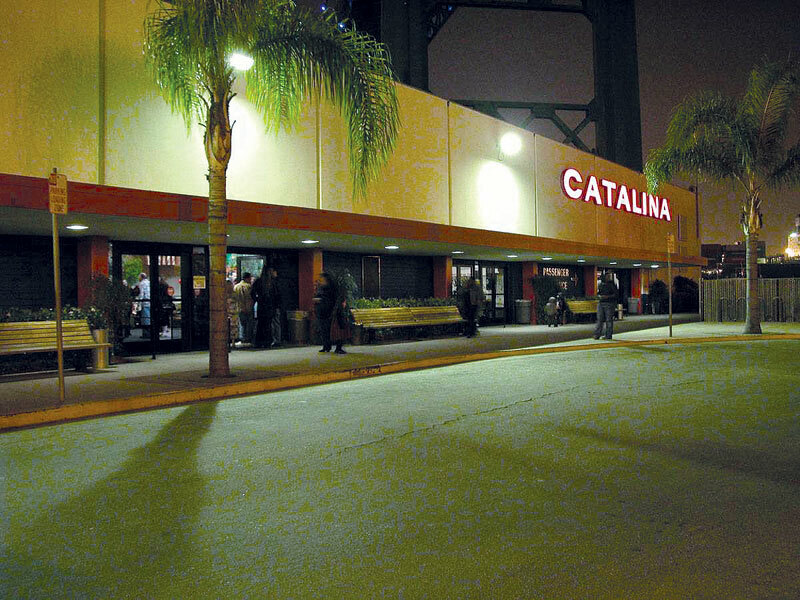 Catalina Express is expecting to put $2.8 million toward the renovation while the port has promised to pay for demolition of the current site and upgrades to the adjacent parking lot used by Catalina Express passengers. In addition, the port will make sure the new wharf area to be occupied by the Catalina Express fleet at Berths 94 and 95 is upgraded, installing new pilings and doing regular maintenance. Catalina Express, which provides daily trips to and from Santa Catalina Island from four Southern California ports, uses the San Pedro facility as its company headquarters. The San Pedro facility is also the only location where maintenance work and repairs are conducted on the company’s fleet of boats.